Knowing how to write a hook is one of the key skills separating published from unpublished authors. Publishers want to know (among other things) that your book will appeal to an audience within the relevant market. How do you write a hook that makes readers lose track of time in book stores and library aisles? This may be stating the obvious: These questions are most ‘hooky’ when they are emotive. ‘Who ate all the ice cream in the middle of the night?’ is not a particularly compelling opening question. If we combine two of these questions, with an emotive, character-based element, it gets more interesting. ‘Who is the teen sitting in the garden late at night eating ice cream from a tub and wiping tears from their eyes?’ That’s immediately more compelling. We wonder about the character, why they are doing this, the significance of their emotional state. Whatever your genre and preference, make sure that your opening lines already begin to create questions in the above categories. 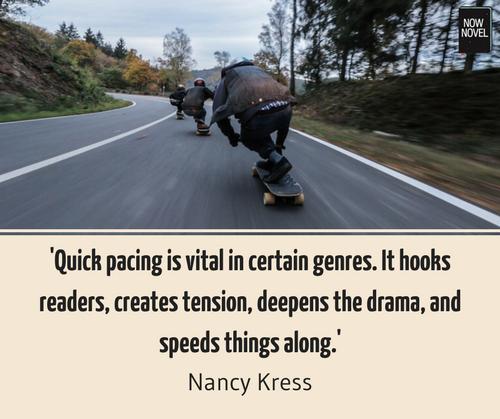 The danger of beginning with slowly-evolving backstory is that by the time you get to characters’ actions, predicaments and conflicts the reader’s lost interest. This isn’t to say that stories that unfold slowly can’t be successful. 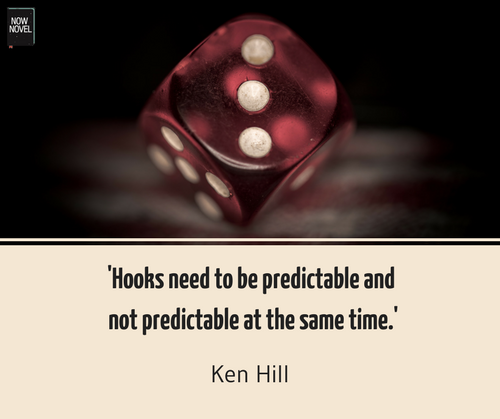 Yet if we’re looking at hooks, often the most compelling opening is the most dynamic and character-based. Pin, standing on the doorstep of the cobbler’s shop, with his nose in the air, just has to give a cry from his throat – a cry to start off a song, or a yell just before the hand of Pietromagro the cobbler lands on the back of his neck to strike him – and a chorus of shouts and insults pours from every window. This action, the character standing and making a noise outside the cobbler’s shop, is curious. We wonder what his motivation is for disturbing the owner. What is it about his voice or presence that irritates the shop’s inhabitants so much? It’s a strange but effective hook, suggesting a world brimming with character and incident. Knowing how to write a hook means understanding what to leave in and what to leave out. Don’t describe characters putting off their alarms and eating breakfast, unless these in themselves are humorous or interesting situations that reveal, in their course, surprising or intriguing character details. A good hook crystallizes meaning and anticipation, compressing it like carbon to become clear, diamond-like. The detail about the mother is important as the character’s mother plays a crucial role in the early unfolding chapters of the novel. We also ask ‘Why?’ Why is the character so unsettled by ‘even the most innocent noises’? Through this opening we see a character’s curious, mysterious emotional state. Tartt gives us just enough of a sense of their environment (they’re travelling in Europe) and starts to fill in a primary relationship. The danger of starting with a catalog of secondary details is that your hook will feel less as though it is leading to an important, interesting reveal. 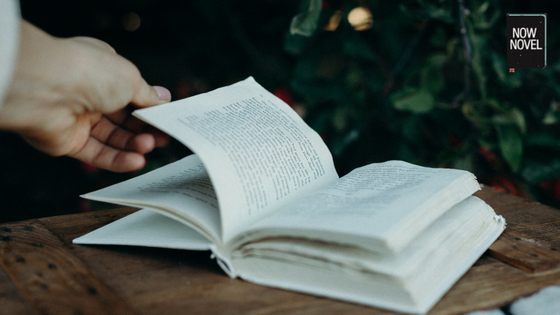 Writing a good hook also means making your reader care about your opening scenario or even just the voice and persona evident in your narrator’s voice. Reading fiction is a chance to empathize with others, to listen to others’ stories and understand. Great hooks entertain us by making the ‘5 W’s’ intriguing, sure. Yet they also lure us in affectively (with feeling), often. We often think of hooks in writing in terms of drama: Car chases, gun shots. Yet this gradual filling in of a human life is also an effective hook. By showing us this not-yet-named character’s mistreatment, Roy makes us care, as readers, about her situation even as we wonder why she lives this way. Your hook doesn’t necessarily have to make your reader care about a specific character’s situation. At the start of a historical war novel, for example, you might describe the tension between approaching, opposite armies. Yet think of how you will give your reader a reason to care how this situation evolves. The above example is a subtler type of hook, relying on quick characterization and the reader’s growing empathy. It’s equally effective, to capture readers’ interest, to resort to thrills or chills. Think of the types of stories tabloids print. Tales of power, crime, scandal, and people’s baser actions. These do (whether we like to admit it or not) sell. Was foul play involved or were there natural causes? How will the community act/react? One could continue asking greater and smaller questions. Thus although some will say interest in stories of this nature is prurient or crass, the truth is hooks that thrill us or chill us are effective. They allow us to inhabit a state of radical uncertainty. We can then enjoy the process of finding our way to a place of greater certainty, as the author answers urgent questions. One effective way to create a compelling hook for your story is to reveal it ‘out of order’, for dramatic effect. Even, for example, if a murder only occurs midway through your story, you could begin with a narrator revealing events that unfolded shortly it. The story proceeds from when Bunny Corcoran was still alive, showing the events before and after his death. This way we are hooked by a dramatic scenario but have to wait to find out exactly why Bunny is dead and who this implicitly responsible ‘our’ refers to in ‘our situation’. Learning how to write a hook is a matter of practicing writing sentences that are filled with mystery and suspense. It means mastering pace, too. A rapidly unfolding, breathless opening would naturally suit a high-stakes thriller where the protagonist is thrown into conflict situations from the first chapter. Chris Mankowski’s last day on the job, two in the afternoon, two hours to go, he got a call to dispose of a bomb. Leonard smartly uses sentence fragments suggesting finality, endings, to build to the revelation of the bomb dispoal. It’s a well-paced, well structured opening line that immediately creates suspense and plunges the protagonist, Chris Mankowski, into a new, dangerous situation. The truth is, if old Major Dover hadn’t dropped dead at Taunton races, Jim would never have come to Thursgood’s at all. Again, we have an emotive situation (a character’s death) and a watershed, question-raising moment. We wonder how Jim’s coming to Thursgood is connected, why the Major dropped dead, and how the situation will play out. As an exercise, take some of your favourite novels and read their opening lines. Jot down the questions the author makes you ask: Are they ‘who’, ‘what’, ‘why’, ‘where’ or ‘when’ questions? Intrigue and entertain your reader, stick to essential information and make them care, and you’ll have a strong hook. Get feedback on your story’s hook now on Now Novel. Or sign up for a course and improve your writing craft.